Hiring a security company to guard a home or premises is something that consumers do to give themselves peace of mind. In a perfect world, crime would be non-existent. There would be no need for these services, however, the reality is that these companies pro­vide a much needed service keeping homes and people safe from potential criminals. These companies charge high fees. Thus, consumers willing to pay these fees expect that their safety needs will be met. Not to mention a high level of professionalism will be exercised in the dispensation of their duties. 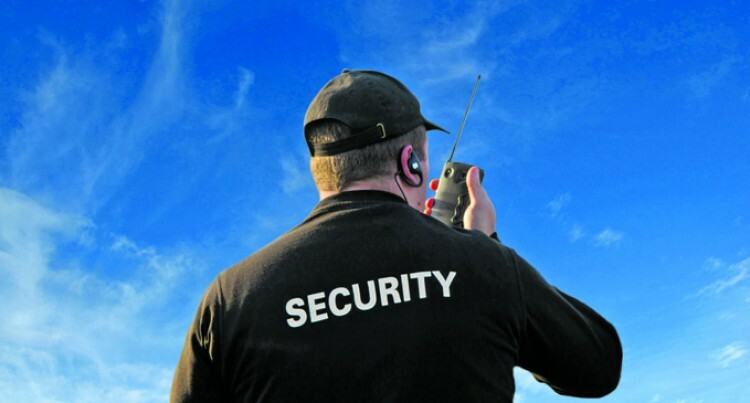 Security guard services are meant to secure and protect assets, people and property. When these services are delivered as advertised by trained profession­als, consumers can rest easy know­ing that their property and assets are in good hands. Unfortunately this was not the case in a recent complaint made to the Council regarding a security ser­vices company. The company was hired by Rachael to provide security services for her home and they proved to be far from professional. The guards would arrive late and Rachael caught the security guards sleeping on the job on multiple occa­sions. Rachael would have to contin­uously call their patrols to switch out the sleeping guards. These replace­ment guards would then end up fall­ing asleep themselves. This behaviour frustrated Rachael and she made several complaints to the directors of the security com­pany. She even sent them photos of the sleeping security guards. Incredibly these claims were dis­missed and the directors did not take any action. They did not even bother to meet with Rachael to discuss the issues. She had also requested that the company install a punch in machine with cards to show when the guards patrolled the property but these were never provided, adding to Rachael’s already long list of frustrations. In her desperation to ensure that her house was guarded, she even asked the guards to only come four days a week, so they could be well rested and not sleep on the job. Much to her dismay she still found guards sleeping on the job. Some even went further to say they had never worked in security be­fore which caused huge alarm for Rachael. How could she trust a guard with no prior security experience or quali­fications to keep her property safe? Even more concerning still, how could a security company ensure their customers of their safety when their employees were unqualified for the job? The constant change of security guards also made Rachael fearful as now many of the security staff knew the layout of her property. This posed a possible threat. After more than a year trying to work out her issues with the compa­ny, she finally decided that enough was enough. Consequently, she cancelled the services of the company. She had some outstanding invoices with the company and contacted the Council to have the almost $5000 payment waived because of the unsatisfactory and extremely disappointing servic­es. Based on the Council’s interven­tion the respondent had apologised to the complainant for all the bad ex­periences that she had faced from the guards and had further waived the outstanding bill of $4988.26. security company cannot perform the most basic tasks of ensuring their personnel stay awake, then what is the use of providing the services? The disregard for Rachel’s legiti­mate consumer concerns is unac­ceptable. It is ironic that home security ser­vices intended to ensure the safety of people, made the consumer feel extremely insecure instead. The Council further notes there is a need to have enforced guidelines and a code of conduct for such services to ensure similar issues do not occur. The Council wonders whether this lack of regulation is being used by security companies to get away with providing sub-standard service. Security companies in Fiji must be held to standards of service quality. The Council calls on them to ensure ability to deliver the services they are being paid for. They must be able to communicate effectively with their clients. This is essential to ensure clients’ peace of mind. The Council also advises consum­ers to verify that the security compa­nies they engage have received for­mal security training. They should make it mandatory for licenses and certificates to prove that these guards have received the required training. Security companies must also en­sure that they have on-duty super­visors. These supervisors would be able to monitor the performance of the security guards by carrying out constant patrols of the clients’ prop­erties. The Council also calls on other consumers who have faced similar issues to contact on toll free National Consumer Helpline number 155 or visit the Council offices at Level 5 Vanua House in Suva. Please note that the Consumer Council of Fiji has now moved to Level 5, Vanua House, Victoria Parade, Suva.